There’s nothing better than being able to wear your healing crystals to help you focus on raising your daily energy vibration. 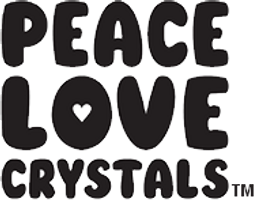 PEACE LOVE CRYSTALS Tumbled Stone Pendants are set with a 925 Sterling Silver bail and are approximately between 20mm-25mm. Tumbled Stone Pendants come with a 50cm black leather necklace and with an exclusive PEACE LOVE CRYSTALS charm, protective pouch and free copy of our "Crystals & Minerals Metaphysical Properties Guide"*. The images shown are of the actual Tumbled Stone Pendant you will receive. Please take note of the size described as images are close-ups so you can see the quality we offer.